Nine of the world’s top 20 players, including three top ten players, are set to play Hyundai Hopman Cup 2014. Petra Kvitova, John Isner, Sloane Stephens, Milos Raonic, Tommy Robredo and Eugenie Bouchard are among the stars confirmed for the ITF’s official mixed teams’ competition from 28 December 2013 to 4 January 2014, taking place at the state-of-the-art Perth Arena for the second consecutive year. World No.7 Kvitova returns to Western Australia after winning the crown with Tomas Berdych in 2012. 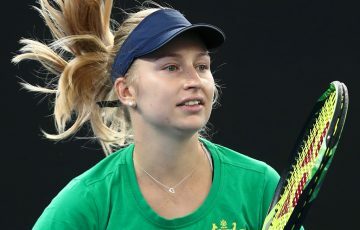 In 2011 the 23-year-old from the Czech Republic won her first Grand Slam title at Wimbledon, going on to win the year-end WTA Tour Championships, play in the winning Czech Fed Cup team and finish the year as world No.2, a career high. > what’s new at Hyundai Hopman Cup 2014? USA’s No.1 powerhouse and current world No.13 John Isner will team with rising star Sloane Stephens. “Every time I have played [Hyundai Hopman Cup] I’ve enjoyed myself so much. I absolutely love my time in Perth,” said Isner, who holds seven ATP career singles titles. Isner teamed with Bethanie Mattek-Sands to win the event in 2011, and in 2013 paired with Venus Williams. “For me playing the Hopman Cup is perfect preparation for the Australian Open. It allows me to get down there early, get used to the heat and on top of that get top notch, quality matches,” Isner said. Stephens made her mark on the women’s tour earlier this year when she beat world No.1 Serena Williams en route to the semifinals at Australian Open 2013. Her star continues to rise, reaching the fourth round at Roland Garros and the US Open, and the quarterfinals at Wimbledon. At just 20 years of age the current No.12 has the world at her feet. 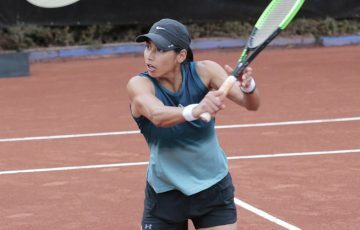 “I had an awesome three weeks in Australia this year so I’m looking forward to going to Perth and being able to play there,” said Stephens, whose ranking has skyrocketed 26 places in 10 months. 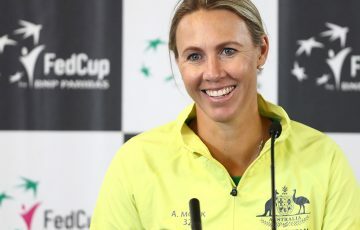 She is particularly excited about the Hopman Cup’s New Year’s Eve ball. Milos Raonic, 22 years old and on the cusp of the top 10, will be joined by 2012 junior Wimbledon champion Eugenie Bouchard for Team Canada. “I think Hopman Cup is a great way to start the year. You have a lot of guaranteed matches, a lot of opportunities to find your way especially after the off season,” said world No.11 Raonic. Raonic is Canada’s highest ever ranked player and currently holds five ATP career singles titles, two of which he has won this year. He is looking forward to the unique format of the event. 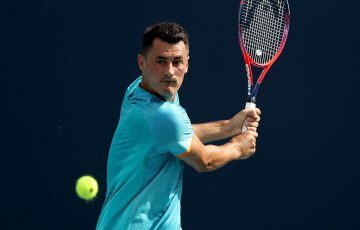 Former US Open champion Sam Stosur will fly the flag for Australia with Bernard Tomic, who looks to continue his unbeaten record at Perth Arena. “I’m really excited about returning to Perth for the second time now and playing with Sam is even better. 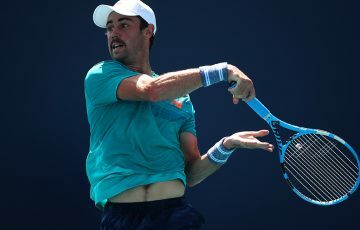 I think we can push Australia to do even better than we did this year,” said Tomic, who led the nation back into the prestigious Davis Cup world group in the play-off against Poland last month. Poland will make their debut with world No.4 Agnieszka Radwanska and world No.15 Jerzy Janowicz, the first Polish man ever to make the semifinals at Wimbledon. The 2014 champion Anabel Medina Garrigues is back for the fourth time, defending the title for Spain alongside world No.19 and two-time Hyundai Hopman Cup champion Tommy Robredo. World No.22 Andreas Seppi and US Open semifinalist, world No.31 Flavia Pennetta, will represent Italy. “Hyundai Hopman Cup 2014 is going to be a fantastic event and we’ve assembled the strongest field ever. 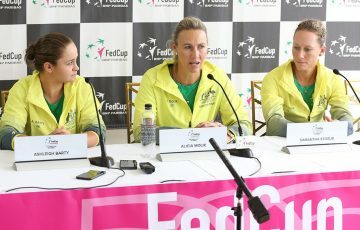 We have seven top 15 players, two top ten women and two former Grand Slam singles champions,” said Event Director Steve Ayles. ITF President Francesco Ricci Bitti agrees with Ayles. “The ITF is delighted to see another outstanding field for the 26th edition of the Hyundai Hopman Cup. 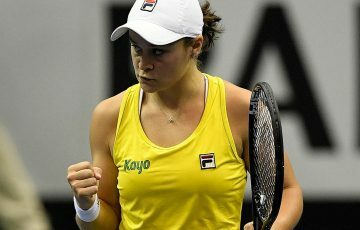 The move to the new Perth Arena further enhanced what was already a highlight of the Australian tennis season,” said Ricci Bitti. Single and multiple session tickets are on sale now. Details on tickets and travel packages are available at www.hopmancup.com/tickets. Tickets can be purchased online at www.ticketek.com.au or by calling 1300 888 104. Stay connected with us via facebook.com/hyundaihopmancup or @hopmancup.